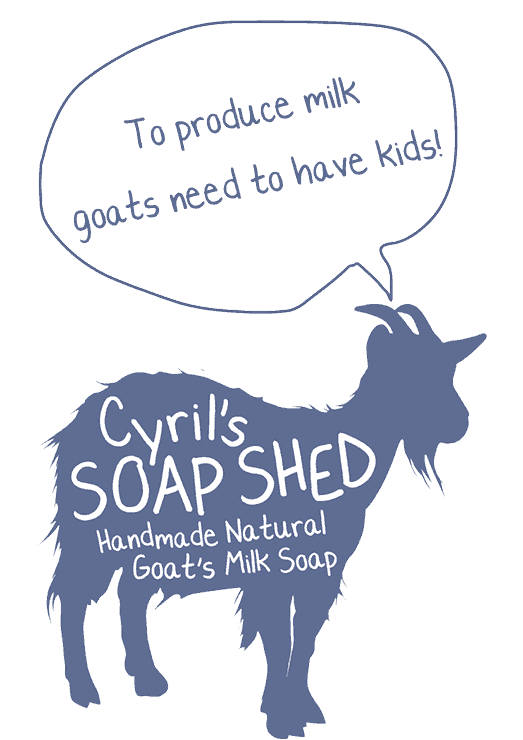 Cyril’s Soap Shed came about pretty much by accident! I gave up my full-time job to start a family in 2006. We were already on the road to self-sufficiency with our chickens and vegetable gardens, and so we decided to get a goat for milk. 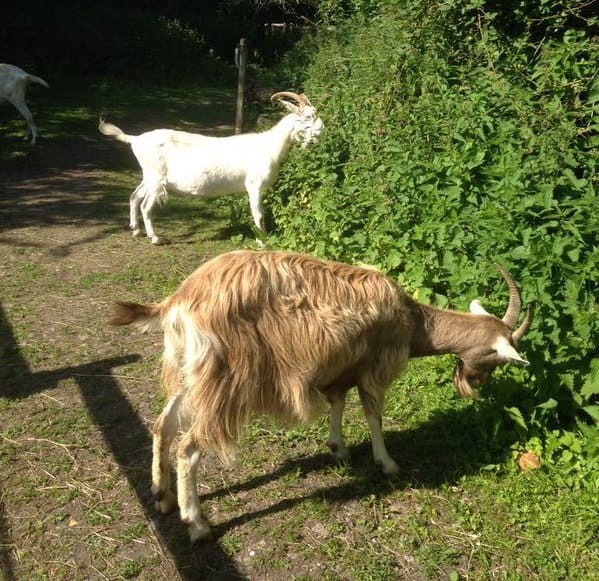 We decided on one goat, however, to cut a long story, we came back from the local activity farm with 2 goats. Penny and Florence. 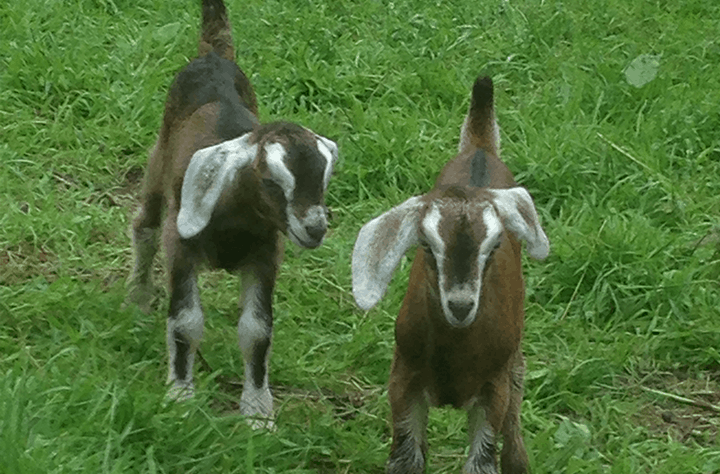 So, I set about learning how to make Goats Milk soap! I quickly learnt that I wanted to do it 'properly' and from scratch and that the Cold Process method, although more time consuming, would produce the best soaps. After I thought I had perfected my recipe and method I gave some to friends and family who were so impressed they thought I should sell it. I also needed a name for the company. That's where Cyril comes into it! Cyril was my Grandad, who had a shed at the bottom of the field. The shed was the hub of the local community for all the old folk! Many a day they would be sat in the shed putting the world to rights (normally while drinking his homemade scrumpy!) When Grandad moved on to the great shed in the sky, his shed down here became a bit worse for wear. 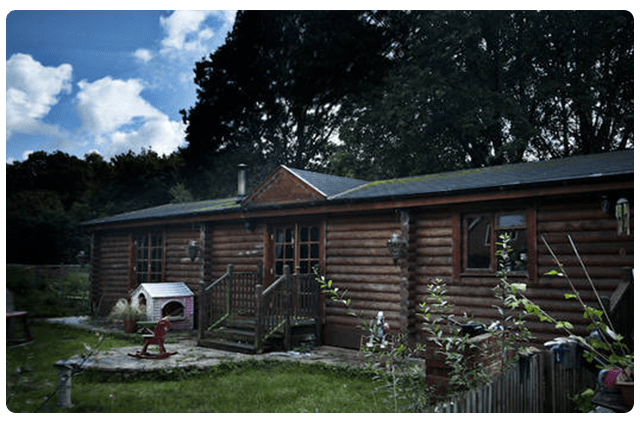 When the time came for myself and husband to have our own home, we decided to resurrect the old shed. So we built our log cabin home on the same spot. Things have moved on since the first days of 'Cyril's Soap Shed'! Instead of just one or two markets a month, we now do major shows around the UK, and have a fast growing internet order business. We also supply an ever growing range of farm shops, gift shops, health food shops, village shops and Garden centres. Our Goats Milk Soaps can be found all over the UK. and we are always keen to supply new stockists. Our range of Guest soaps is becoming increasingly popular too with wonderful and varied B&B's, Guesthouses and Hotels. We add a touch of luxury, yet with a quirky, rustic appeal. Pumpkin produces about 5 pints of milk a day when she is not being cheeky! She can't resist running up behind us and head butting us! Ellie produces half of our daily twenty pints! She produces so much milk we have to milk her twice a day. She is very chilled and laid back and is a great mum. Tilly is very laid back and friendly. She was born here at Cyril's Soap Shed, and is Florence's daughter. Florence came to us in June 2008, at the age of 13mths. Now retired from milking she keeps everyone in check, but also looks after everyone. If there is something to knock over (usually a full wheelbarrow!) she will. We let our goats raise the kids naturally. At 3 weeks the babies are put in the 'nursery' overnight but returned to their mum's first thing in the morning after milking. We only milk once a day, so the babies have plenty! We do not take the kids away from mum. We let our goats raise the kids themselves, and when they self-wean at around 6mths old we then look for forever homes for them.